CRC| ISBN 0849322618 | 2005-08-29 | PDF | 648 pages | 11.2 MB. Microbiology of Fruits and Vegetables presents a holistic view of the problem of produce contamination that examines both pre-harvest and post-harvest sources and practices. 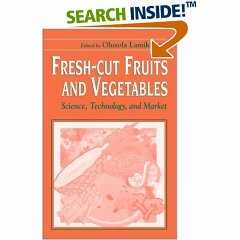 It addresses a number of topical issues relating to the microbiological quality and safety of fresh and processed fruits and vegetables and explores the linkage between microbial attachment, the state of microbial contaminants on produce surfaces, and the problem of decontamination. This volume focuses on five distinct areas, and within these areas, provides in-depth coverage of scientific issues important to an understanding of the field and technical issues of economic and public health significance. Are you a designer looking for a new and quicker way to prototype and create for the Web? Or are you perhaps a web developer who finds most design tools to be overly complex for what you need to get done? 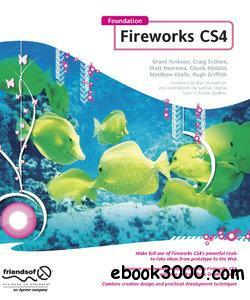 In either case, Foundation Fireworks CS4 is for you. Foundation Firework CS4 includes several real-world case studies, including creating a blog, building CSS sprites, and assembling a web commerce site. Advanced coverage includes using Fireworks to turn Rich Internet Applications into desktop apps with Adobe AIR. Fireworks CS4 is a complete design and development environment, and Foundation Firework CS4 is the first book to cover the full spectrum of this application thoroughly. In Intelligentedu.com, you will find 16 free books covering areas such as C++, C Sharp, ASP.Net, Flash MX, Game Programming, JSP, PHP, MySQL, Apache, TCP/IP, Perl, and UML. Most of the books are in chm format. It seems like every other page online is about…designing pages online. 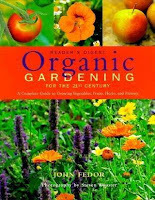 But this is one of those topics which you might want to tackle through a comprehensive resource, like a book, especially if you’re a beginner. In Mashable, there are 20 ebooks and whitepapers covering that very subject. HelpGuide.org will provide you easy tips for planning a healthy diet and sticking to it. Triple your weight loss! ChangingShape offers you free diet plans e-books. When selecting a meal plan, make sure you are consuming a balanced and complete diet. Your assignment is to set realistic and attainable diet goals. Start by following the simple guidelines at the link provided above. BEAT IT! 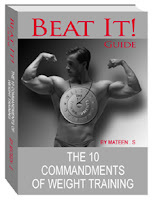 -- the ultimate weight training and muscle building ezine. The only weight training ebook that you will ever need to build quality muscle - ABSOLUTELY FREE! Tired of training with weights? The e-book helps people like you with correct weight training methods. Go now and Beat It! A hassle-free guide to natural homemade pet food - free online reading -- along with enough time to republish the book online. Toxic Pet Food Alert at Shirley's Wellness Cafe! See the list of cat food and dog food being recalled. 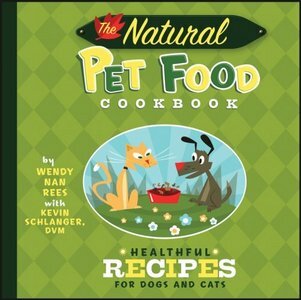 Plus a guide on all natural ingredients for a healthy pet food. Dog Food Recipe Secret by Dr. John Miller will be revealed at My-Pet-Medicine.com. Visit now! 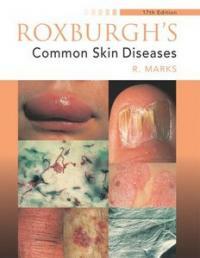 Springer | 2010 | ISBN: 1441956700 | 300 pages | File type: PDF | 3.7mb. Memes are bits of information that are replicated and passed on across individuals and generations. 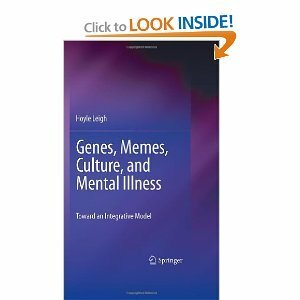 Memes arose when the human brain acquired the capacity to imitate others and supplement the genes as a means of providing information to the developing individual.Memes, unlike genes, have evolved rapidly in the course of human history and form the building blocks of culture. Unlike genes, memes can be stored outside of the organism in the form of written language, recordings, and in the digital form that can be replicated and transmitted without intervening human brain, like computer viruses. They imbue the environment of the developing individual with nurturing as well as noxious material, all ready to infect the receptive, plastic brain. Publisher: Thomson Gale | ISBN: 0787657689 | edition 2002 | File type: PDF | 1189 pages | 12,1 mb. Mental illness is a major cause of disability in the U.S. Thirty million people visit physicians and two million spend time in hospitals every year because of mental disorders. The Gale Encyclopedia of Mental Disorders provides a good overview of mental illness, psychotherapy, and other treatments. It includes both traditional and alternative therapies. Medical writers, pharmacists, and mental health professionals wrote and edited the 400 signed, alphabetical entries in the set. 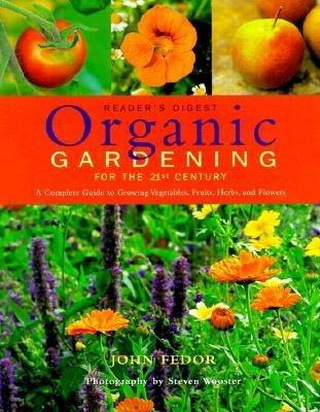 Get this book from BesteBooksWorld.com. Truly the best! Plus a free Solar Power Manual! Our solar educational kit is designed to let you build your own solar models. … The kit comes complete with high energy solar panel and can even run on 2 “AA” batteries …49- SOLAR KITS Solar Power Training Course Model SK-20. 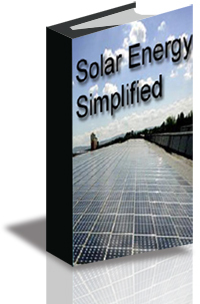 Learn the why’s and how’s of solar energy. Find out how you can harness the power of the sun to convert light into electricity into a multitude of uses: light a bulb, sound a buzzer, power a fan and many others. The solar cell comes complete with 8 solar cells, electric motor, propeller, buzzer, etc. 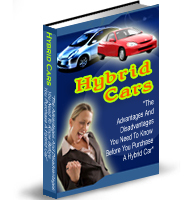 There is evidence and trends emerging, that hybrids are here to stay and hold the promise of future transportation vehicles. Others think the technology still has a long way to go. It hangs in the balance and sways between these ‘extremes’ as its development path continues to evolve. Also talking with owners of Hybrid vehicles to get the ‘facts’ and inside scoop, going for a test drive yourself and comparing features and performance according to some preset criteria can all help you to make up your mind on what to buy. Publisher: Chelsea House Publications 2009-09-30 | 32 Pages | ISBN: 1604134763 | PDF | 2.8 MB In recent years, there has been much concern about the world's reliance on nonrenewable resources, such as oil. Scientists are attempting to decrease our dependency on oil - something cars require to work. Hybrid cars, which run on alternative energy sources like sunlight, corn, and biofuels, may be the key to using less oil. 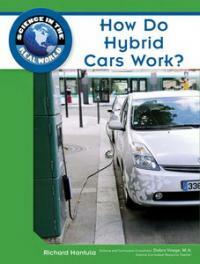 "How Do Hybrid Cars Work?" discusses how these machines work, the science behind the energy they make, and what the use of hybrid cars means for the planet. 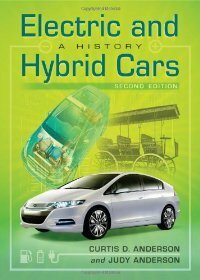 Full-color photographs and illustrations keep young readers enthralled in the science behind hybrid cars. In this powerful book, David B. Edwards traces the lives of three recent Afghan leaders in Afghanistan's history--Nur Muhammad Taraki, Samiullah Safi, and Qazi Amin Waqad--to explain how the promise of progress and prosperity that animated Afghanistan in the 1960s crumbled and became the present tragedy of discord, destruction, and despair. Before Taliban builds on the foundation that Edwards laid in his previous book, Heroes of the Age, in which he examines the lives of three significant figures of the late nineteenth century--a tribal khan, a Muslim saint, and a prince who became king of the newly created state. 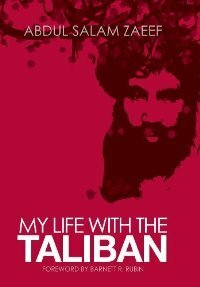 My Life with the Taliban is the autobiography of Abdul Salam Zaeef, a former senior member of Afghanistan's Taliban and a principal actor in its domestic and foreign affairs. Translated for the first time from the Pashto, Zaeef's words share more than a personal history of an unusual life. 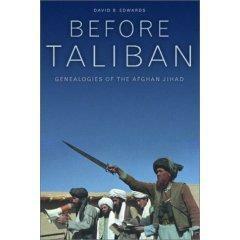 They supply a counternarrative to standard accounts of Afghanistan since 1979. Zaeef shares his experiences as a poor youth in rural Kandahar. Both his parents died when he was young, and Russia's invasion in 1979 forced Zaeef to flee to Pakistan. In 1983, Zaeef joined the jihad against the Soviets, fighting alongside several major figures of the anti-Soviet resistance, including current Taliban leader Mullah Mohammad Omar. After the war, he returned to his quiet life in Helmand, but factional conflicts soon broke out, and Zaeef, disgusted by the ensuing lawlessness, joined with other former mujahidin to form the Taliban, which assumed power in 1994. 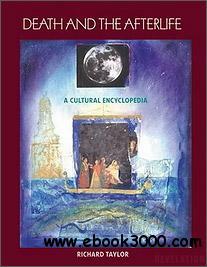 It is during the Middle Ages that modern Europe, indeed, modern Western culture as we know it, comes to be. Classical Mediterranean culture drew from the ancient Middle East, and more directly, from the Hebrews, Greeks, and Romans. The Middle Ages add the Northlands, Celts, and Germans, and ultimately, Slavs as well, to the mix. And the Middle Ages saw the birth of the immediate predecessors of our own ideas about love and marriage as important concerns in their own right, utterly central to a happy and fulfilling personal life. During the early medieval period, crusading brought about new ways of writing about the city of Jerusalem in Europe. By creating texts that embellished the historical relationship between the Holy City and England, English authors endowed their nation with a reputation of power and importance. 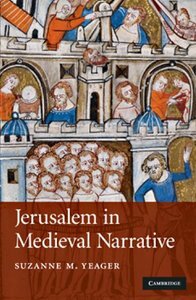 In Jerusalem in Medieval Narrative, Suzanne Yeager identifies the growth of medieval propaganda aimed at rousing interest in crusading, and analyzes how fourteenth-century writers refashioned their sources to create a substantive (if fictive) English role in the fight for Jerusalem. 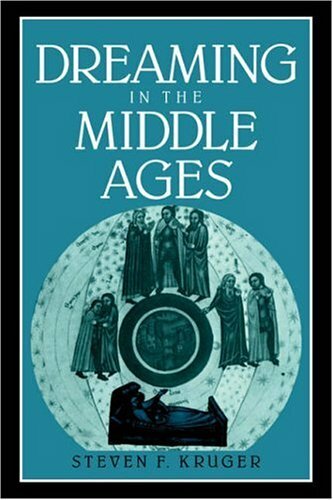 Centering on medieval identity, this study offers new assessments of some of the fourteenth century's most popular works, including English pilgrim itineraries, political treatises, the romances Richard, Coeur de Lion and The Siege of Jerusalem , and the prose Book of Sir John Mandeville. This study will be an essential resource for the study of medieval literary history, travel, crusade, and the place of Jerusalem. 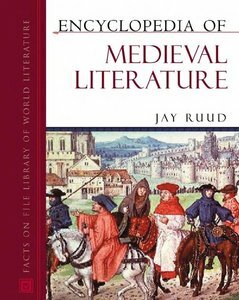 Medieval literature encompasses a broad sweep of people, cultures, and styles. "Encyclopedia of Medieval Literature" offers a comprehensive account of the literary works, writers, and concepts of the Middle Ages; from 500 to 1500 CE. Covering not only European literature but also that of India, the Far East, and the Muslim world, this invaluable A-to-Z guide is one of the most inclusive single-volume references of its kind. Approximately 700 entries cover works, authors, and terms from the following cultures and languages: English: Old English and Middle English, ncluding Beowulf, Chaucer, morality play, Sir Thomas Malory, Sir Gawain and the Green Knight, Robin Hood, and Troilus and Criseyde; French: Joan of Arc, Marie de France, Parzival, The Song of Roland, and Francois Villon; Provencal: troubadours and Peire Vidal; Celtic: Cuchulain, The Mabinogion, and Ulster cycle; German: The Nibelungenlied, Tristan, Ulrich von Lichtenstein, and Gottfried von Strassburg; Old Norse: Egil's Saga, skaldic poetry, and Snorri Sturluson; Latin: Peter Abelard, Bede, Geoffrey of Monmouth, Historia Regum Britanniae, Psychomachia, and St. Augustine of Hippo; Japanese: Muromachi Period, The Pillow Book, and The Tale of Genji; Chinese: The Story of Ying-ying and Li Po; Islamic: Omar Khayyam, the Koran, and The Thousand and One Nights; Indian: Govindadasa and Mahadeviyakka; Spanish; Hebrew; and more. 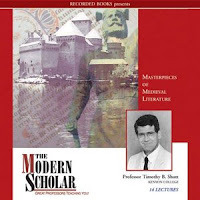 This wide-ranging study examines the role of the dream in medieval culture with reference to philosophical, legal and theological writings as well as literary and autobiographical works. Stephen Kruger studies the development of theories of dreaming, from the Neoplatonic and patristic writers to late medieval re-interpretations, and shows how these theories relate to autobiographical accounts and to move popular treatments of dreaming. He considers previously neglected material including one important dream vision by Nicole Oresme, and arrives at a new understanding of this literary genre, and of medieval attitudes to dreaming in general. 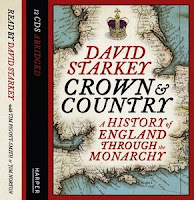 The monarchy is one of Britain’s longest surviving institutions as well as one of its most tumultuous and revered. 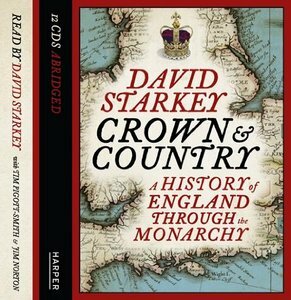 In this masterful book, David Starkey looks at the monarchy as a whole, charting its history from Roman times, to the Wars of the Roses, the chaos of the Civil War, the fall of Charles I and Cromwell's emergence as Lord Protector all the way up until the Victorian era when Britain’s monarchs came face-to-face with modernity. Read the History of the United Kingdom during World War I. Wikipedia offers this article for free online reading. Christmas Gifts - Download free e-books. Gift ideas for Christmas this year for those who find it difficult to do things this festive season. Christmas Short Stories - Free e-books of Christmas stories for children and teenagers. Stories in PDF, EPUB, and PRC formats. All free. Free e-book: A Chrismas Carol by Charles Dickens. 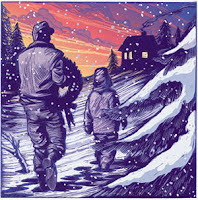 Absolutely classical Christmas story in PDF format. Read this story online or save the entire file on your computer. Christmas Songs! Christmas Poems! Christmas Jokes! and everything Christmas! ABC-CLIO (2000) | English | ISBN 0874369398 | 438 pages | CHM | 1.72 MB. This vast compendium of information contains hundreds of entries on the sometimes obscure, complicated, and mysterious (but always fascinating) funeral customs of dozens of cultures. Topics cover the burial and afterlife customs of China, the Greco-Roman world, India, the Near East, ancient Israel, the Iron Age Celts, Africa, Native Americans, Lapps, Islamic countries, modern Western society, and many other ancient and contemporary cultures. More than a gathering of information, this essential reference draws out the underlying meaning of funeral and afterlife traditions. It makes available a variety of human responses to that most fundamental reality of life: death. 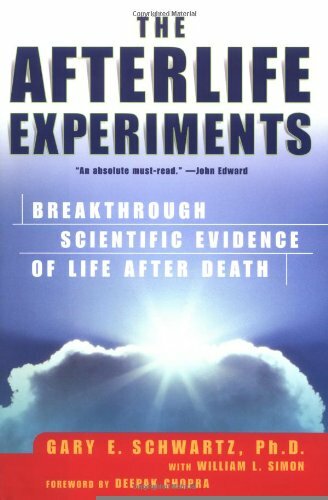 Gary E. R. Schwartz, Publisher: Atria | 2002 | ISBN 074343658X | PDF | 400 pages | 18.3 MB An esteemed scientist's personal journey from skepticism to wonder and awe provides astonishing answers to a timeless question: Is there life after death? Are love and life eternal? This exciting account presents provocative evidence that could upset everything that science has ever taught. Daring to risk his worldwide academic reputation, Dr. Gary E. Schwartz, along with his research partner Dr. Linda Russek, asked some of the most prominent mediums in America -- including John Edward, Suzane Northrup, and George Anderson -- to become part of a series of extraordinary experiments to prove, or disprove, the existence of an afterlife. Catholic Beliefs on Life After Death - Scripture from Scratch. No one knows what life after death will be like, or heaven, or hell or purgatory. But we can gain an idea through Scripture, Catholic teaching and meditation. The Roman Catholic View of the Afterlife by Paul Kirkpatrick. Inherent in the understanding of the Roman Catholic view of the afterlife, one must first consider the Roman Catholic doctrine of sin and matters concerning redemption. Thomas Aquinas has long been a source of theological philosophy for the Catholic Church and has much to say on this and other subjects in his Summa Theologica, which was a series of collected essays on many biblical subjects. 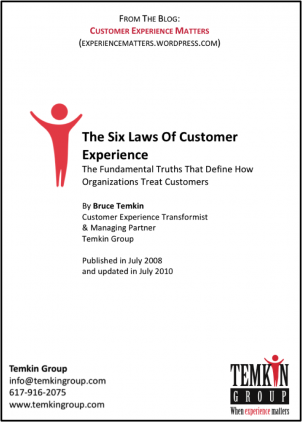 -- The Fundamental Truths That Define How Organizations Treat Customers. 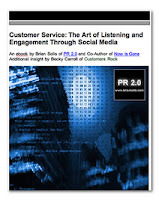 Authored by Bruce Temkin, the book consists only of 11 pages, so it is given away for free (in PDF format). Spread the word! ManagementHelp.Org provides free articles on customer service. Increasing competition (whether for profit or non-profit) is forcing businesses to pay much more attention to satisfying customers, including by providing strong customer service. 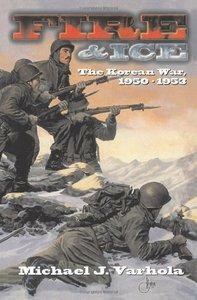 Fire and ICe: The Korean War, 1950 - 1953 Publisher: Da Capo Press | 2000 | ISBN 1882810449 | PDF | 317 pages | 32.2 MB 12 original maps 24 photos and illustrations 6 x 9 Michael Varhola's The Korean War covers every aspect of this overlooked conflict in an original and fast-paced style. Jammed with facts, myths, statistics and analysis, Varhola's study includes chapters on leading personalities on both sides, all of the major actions including the Inchon Landing and retreat from Chosin, and the roles of the U.S. Army, Air Force, Navy, and Marine Corps. Includes a Foreword by Col. John E. Jessup, a Korean War veteran and the author of a number of books, including An Encyclopedic Dictionary of Conflict and Conflict Resolution, 1945-1996. Michael Varhola has written and edited several books, including Everyday Life During the Civil War. He has also founded or run several publications, including Living History and The Achiever magazines, and has been published in dozens of other publications. The Coldest Winter: America and the Korean War David Halberstam's magisterial and thrilling The Best and the Brightest was the defining book for the Vietnam War. More than three decades later, Halberstam used his unrivalled research and formidable journalistic skills to shed light on another dark corner in our history: the Korean War. The Coldest Winter is a successor to The Best and the Brightest, even though in historical terms it precedes it.Halberstam considered The Coldest Winter the best book he ever wrote, the culmination of forty-five years of writing about America's postwar foreign policy.Up until now, the Korean War has been the black hole of modern American history.The Coldest Winter changes that.Halberstam gives us a masterful narrative of the political decisions and miscalculations on both sides. He charts the disastrous path that led to the massive entry of Chinese forces near the Yalu, and that caught Douglas MacArthur and his soldiers by surprise. He provides astonishingly vivid and nuanced portraits of all the major figures -- Eisenhower, Truman, Acheson, Kim, and Mao, and Generals MacArthur, Almond, and Ridgway. 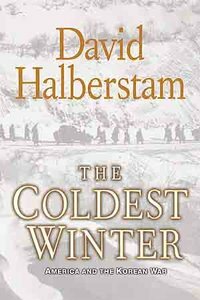 At the same time, Halberstam provides us with his trademark highly evocative narrative journalism, chronicling the crucial battles with reportage of the highest order.At the heart of the book are the individual stories of the soldiers on the front lines who were left to deal with the consequences of the dangerous misjudgments and competing agendas of powerful men. We meet them, follow them, and see some of the most dreadful battles in history through their eyes. 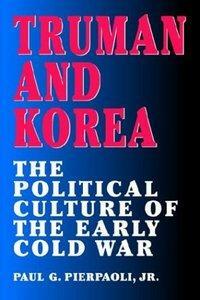 Truman and Korea: The Political Culture of the Early Cold War Book Detailing for the first time the story of America's home front during the Korean War, Truman and Korea fills an important gap in the historical scholarship of the era. Paul Pierpaoli analyzes the political, economic, social, and international ramifications of America's first war of Soviet containment, never losing sight of the larger context of the Cold War. He focuses on how and why the Truman administration undertook a bloody, inconclusive war on the Korean peninsula while permanently placing the nation on a war footing. Based upon extensive research in the papers and official presidential files of Harry S. Truman, as well as many manuscript collections and records of wartime and government agencies, Truman and Korea offers a new perspective on the Korean War era and its inextricable ties to broader Cold War decision making. One of the premier clinical dermatology references since 1930, this classic text covers clinical presentation and therapy for a full range of common and rare skin diseases. 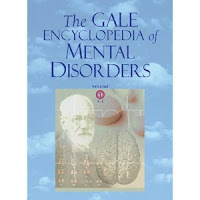 Its concise, clinically focused, user-friendly approach has made it a favorite through nine best-selling editions. The authors, all well-respected clinicians, balance evidence-based treatment guidelines with valuable anecdotal advice validated by many years of clinical experience. Now appearing in full color for the first time, over 1,500 brand-new photographs depict diseases exactly the way they present in real life. And, a new, consistent organization makes information even easier to find than ever before. This highly regarded dermatology textbook with an international reputation has been thoroughly updated and refined throughout this 17th edition. 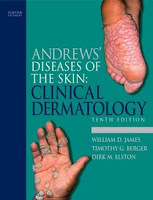 Adopting a more concise and "user-friendly" style, and with increased emphasis on basic science, diagnostic procedures and clinical management, it remains an invaluable reference to all primary care physicians general practitioners residents in dermatology and third and fourth year medical students looking for an introduction to the subject.With its reader friendly approach and over 350 superb clinical photographs and explanatory color diagrams, Roxburgh's Common Skin Disorders remains a key learning resource in the field of dermatology to be referred to often during study and in clinical setting. Stephen J. Lee, "Lenin and Revolutionary Russia (Questions and Analysis in History)" Publisher: Routledge | 2003 | ISBN 0415287170 | File type: PDF | 176 pages | 1.4 mbLenin and Revolutionary Russia examines the background to and the course of the Russian Revolution of 1917 and Lenin's regime. It explores all the key aspects such as the development of the Bolsheviks as a revolutionary party, the 1905 Revolution, the collapse of the Tsarists, the Russian Civil War and historical interpretations of Lenin's legacy to Russian history. 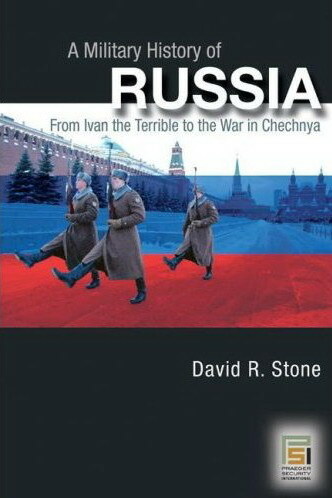 Free-book: A Military History of Russia by David Stone. This book brings to light Russia's undeservedly obscure military past, rectifying the tendency of American and Western military historians to neglect the Russian side of things. Russia, as both a Western and non-Western society, challenges our thinking about Western military superiority. Russia has always struggled with backwardness in comparison with more developed powers, at some times more successfully than others.